There is a door out to another exterior sitting area, with table and chairs. 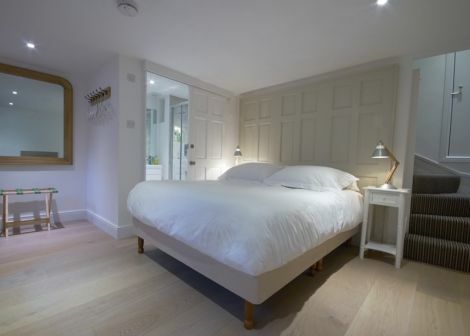 This one bedroom, boutique flat offers a secret escape with added luxury. 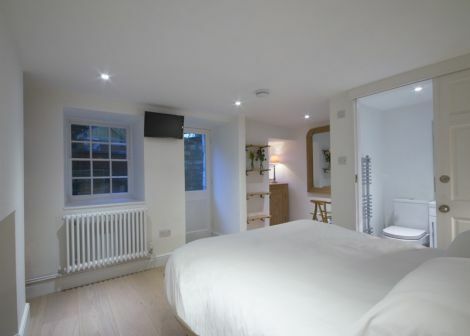 Newly renovated to a very high standard, the bedroom has an ensuite shower room .